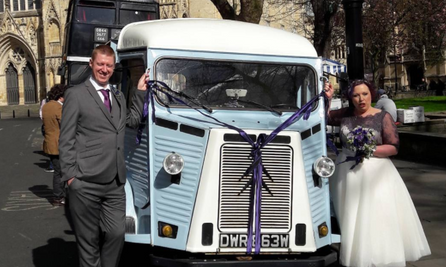 A refurbished award winning Vintage Citroen H Van ('Henri') gives Kathrine a head turning vehicle for her Bespoke Flower Business Fleur Adamo in York. 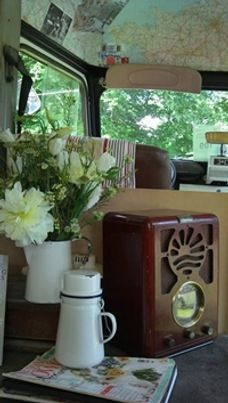 Winner 2014 People's choice Competition at Scampston Vintage Festival. 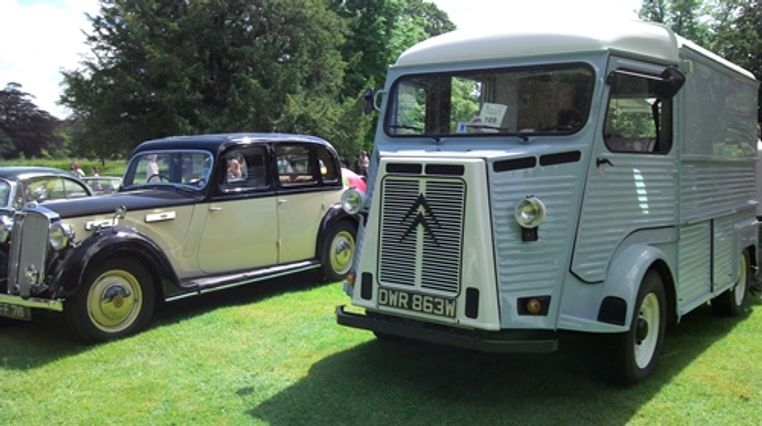 The Citroen H Van, Type H or HY is a light truck (or delivery van) produced by the French car maker Citroen between 1947 and 1981. it was developed as a simple front wheel driven van after World War 2. A total of 473,289 were produced in 34 years in factories in France and Belgium. Most of them were sold in France, Belgium and the Netherlands. They were not sold in the UK in right hand drive. In France, this van is known as "Nez de Cochon", "Pig Nose". When used by the police it was called "panier a salade", "salad basket".